We shall call radiation that is derivable from blackbody radiation by any linear filtering process thermal radiation. It has sometimes also been called chaotic radiation. In most practical cases classical light will be noisy. Only a perfect oscillator would emit an electro-magnetic wave with perfectly constant amplitude and phase. There are some relatively simple models of realistic light sources. Chaotic light is the idealized approximation for the light generated by independent sources emitting resonance radiation. A practical example is a spectral lamp. In contrast, a thermal light is an approximation of the light emitted by many interacting atoms that are thermally excited and together emit a broad, non resonant spectrum of light. A practical example is a hot, glowing filament. The light emitted by a mercury lamp originates from many different atoms. This leads to fluctuations in the light intensity on time-scales comparable to the coherence time. These light intensity fluctuations originate from fluctuations in the number of atoms emitting at a given time, and also from jumps and discontinuities in the phase emitted by the individual atoms. The partially coherent light emitted from such a source is called chaotic to emphasize the underlying randomness of the emission process at the microscopic level. In principle the term "thermal radiation" should refer only to radiation coming from a blackbody in thermal equilibrium at some temperature T. But in reality, some characteristics of true thermal fields, like the extreme shortness of their coherence time, have imposed serious obstacles to their use in actual experiments, and therefore since the early days of quantum optics there has been a great interest in the realization of more utilizable sources that could simulate the behavior of true thermal fields (gas discharge lamps, randomized lasers, etc.). We usually describe this kind of source as pseudothermal; they are actually all chaotic light sources that can be modeled as a collection of independent atoms emitting radiation randomly […]. The principle of the generation is very simple: coherent laser radiation is focused on a rotating ground glass disk so the scattered radiation is chaotic with a Gaussian spectrum. So here a electric discharge lamp (e.g., mercury vapor) is pseudothermal. 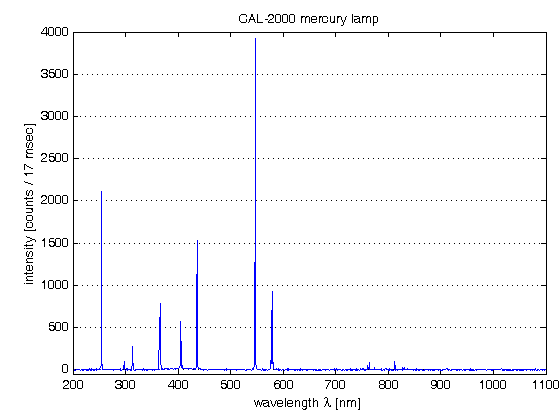 If laser light (which is Poisson) is focused on a rotating ground glass disk it produces a chaotic source with a Gaussian spectrum  very different from the line spectrum of a mercury lamp as plotted below. I do not know about you, but I am confused. Are "gas discharge lamps" and "electric discharge lamps" the same thing? What is a chaotic light source? What is the role of coherence length? If you can shine some light on this in form of a comment, I would appreciate it very much.